by Hammer. An Italian translation is available here. 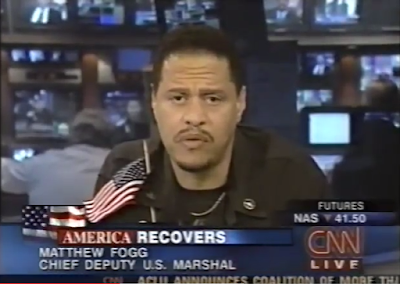 Continuing our commitment to preserve the memory of the events of 9/11, we present the account of Matthew Fogg, who took part in the rescue operations at Ground Zero after the collapse of the Twin Towers. We wish to thank Matthew Fogg for his kindness and willingness to share his experience. Undicisettembre: What do you recall about 9/11, generally speaking? What happened to you on that day? Matthew Fogg: I went to New York on the night before, on September 10th, because with my fiancée we wanted to visit some relatives. We were staying in a hotel about thirty blocks up the street from the Towers, near to the fire station that lost most firefighters. That morning I happened to see on the television that one of the buildings had been struck by an airplane, I said “Wow, let me go outside and take a look and see what is going on.” I went outside and there were people pointing at the building and looking out you could see the smoke coming out of the top of the building, we were assuming a plane had crashed into the building but no one knew more than that. I watched for a while and then went back inside, and in a short period of time another plane arrived and hit the other building. I was off duty at that time, I thought to myself “Wow, can two planes hit buildings like that? The navigation system must be off or something.” We were watching the news, the CNN I think it was, and questions started arriving about whether this was a terrorist attack or a natural phenomenon like somebody making a mistake flying a plane. Both of them were burning, I had no idea that they would have dropped. By that time the fire department that was in the same block we were had already responded. Amazingly enough right across the street from where I was staying there was an army surplus store, I went across the street and I spent around 300 dollars: I bought pants, a shirt, boots, flashlights, gloves and all that stuff because my goal was to go down there and try to help out. I went back upstairs and while putting on all the stuff I bought my fiancée started crying, she was very upset because she thought I was going to my death, my last word before going out were “If I don’t make it back and someone asks you, tell them this is over and beyond the call of duty.” I knew it was going to be pure disaster, I didn’t know everything but I knew it was going to be terrible. We started hearing on the news it was a terrorist attack but we could not get any phone call out; I tried to call home and somebody else, but the phones were not working, I could not get through to anybody. I made one call when the whole thing started to a friend of mine who was at Capitol Hill and he told me they were vacating congressional offices because it was a terrorist attack. By the time I got to Ground Zero it was late that evening. There was smoke everywhere, rescuers were still trying to pull people out of there. The wreckage was so massive and there was so much smoke and stuff in the air that at a certain point I had a handkerchief over my face just trying to keep all that stuff out. It was very difficult to move around because smoke was coming out, it was crazy. Undicisettembre: What did you guys do in the next days? 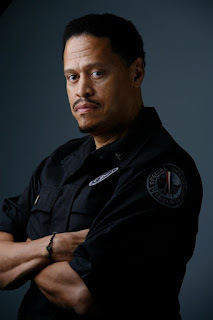 Matthew Fogg: Well, they started getting more organized setting up the command center, trying to direct people where they had to go looking for bodies. I had ropes and equipment and I went to go find pockets underground and call and try to find if anybody was there. I remember one time scared the life out of me, I though I was really dead: we had found this one particular area underground, we called and tie roped us and dug our way under going to that pocket, yelling and tapping and trying to get people responding, we went about one hundred feet underground and someone yelled “The building is falling, get out, get out, get out!” And I remember thinking “Where the heck can I go now?” I just hunkered down right where I was and prayed that the building wouldn’t collapse on me, but I thought I was dead. It was the most horrifying feeling you can ever have for you: you are stuck underground and someone yells “Get out, get out, the building is falling.” The building didn’t fall, thank God, I plumbed out and we just continued searching. I winded up on CNN, they called us to talk about it, what equipment we used, how we were communicating with other officers, all the techniques we were using, tapping on metal and this kind of stuff. We ended up pulling out one firefighter but he was dead. Some other firefighters and myself found this guy and tried to get him out of the rubble but by the time we got him out he was dead, so we covered him up. There’s a picture of me with another guy bringing the body down the hill, it was published in the People magazine. Undicisettembre: How long did you stay at Ground Zero after 9/11? Matthew Fogg: About five days. Undicisettembre: During those five days did anything in particular strike you? Anything unexpected? Matthew Fogg: There were a couple of places that seemed like they remained burning, where they couldn’t put the fire out. Maybe because of an underground gas line leak. Other than that, there were a lot of people coming to the location. I didn’t even realize the need for the mask and the chemical agents that were in the air until later, when one of the doctors told me “Try to wear your mask all the time.” and that was one or two days later, I was wearing it a lot but there were times I pulled it off thinking “If you don’t see the smoke or the debris, you are okay.” but there was particles and stuff in the air. The medical team did interviews with anybody so that if anything happened to you they had a record of it. Undicisettembre: A lot of people also mentioned the stench. Stench of burnt flesh and electronics and rubber. Do you agree? Matthew Fogg: Yes, there would be moments when you could smell a combination of a lot of things. Odd smells, mixed smells. 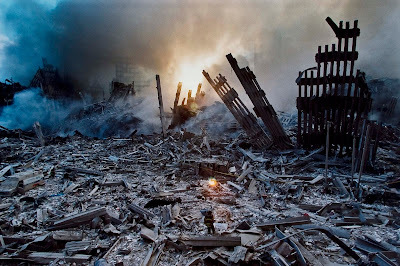 Undicisettembre: Did you ever go back to Ground Zero? Matthew Fogg: No, I haven’t been back yet. Undicisettembre: How long did it take you to get your life back to normalcy? Undicisettembre: What do you think of conspiracy theories that claim that 9/11 was an inside job? Matthew Fogg: Well, I’ve heard about it and it’s hard to believe that our government would do something like that, but again I’ve see governments lie and being dishonest, I’ve seen stuff where we can go awry and power becomes corrupt. I don’t put anything passed. So to me it’s possible this have occurred. So when people say “It was an inside job” I would say “Give me more evidence”, but maybe it happened. I don’t know. I was not inside the investigation enough to say what happened. That’s why they have juries: juries have to look at all the evidence and somebody have to come with an outcome. The official version makes sense, but the juries have to look at all the evidence and see which they believe most. I just think I don’t have enough information to say it was al-Qaeda or that it was not al-Qaeda. Undicisettembre: How did 9/11 affect the everyday work of U.S. Marshals? Matthew Fogg: I think it affected the Marshal Service, but at the time I was fighting them and I was on an injury leave, so I was still getting payed and all that. But I think that for all security agencies 9/11 heightened out security awareness and the knowledge that these massive operations can occur and that there’s always a way our system can be compromised. So before 9/11 all agencies wanted to keep their stuff for themselves, like when I was heavily involved in tracking fugitives and running all across the country; after 9/11 agencies started saying “we have to put this information together because you might know something that I don’t know and if we had brought that information together we could have stopped 9/11.” So, let’s talk now, let’s communicate more, let’s share. Undicisettembre: How does 9/11 affect your everyday life? Matthew Fogg: Well, it was a while before they recognized me as a 9/11 responder. I am black, there were other black agents, but when you see who the awards are going to you see that there weren’t many of our faces in the early stages. After 9/11 I got my recognition 8 or 9 years after. But I did what I had to do, I put my life on the line. All the lawsuits I’m involved with for discrimination effected me, my career, anybody who is person of color. As I say, I wasn’t concerned about the bad guys, but about the guys who were behind me. So 9/11 hasn’t changed my life in terms of what I observed and what I saw. Undicisettembre: What do you think as the US as a nation, even considering the new president you have? Matthew Fogg: We have the new President Trump who took over after President Obama and I think President Obama did a fantastic job making this country secure again. We didn’t have any major incident, other than the shootings that we have and we’ll always have as long as you have guns in the streets, but other than that we had no major incidents. He took us out of two wars. Being at war makes us feel insecure, so getting out of those wars make us more comfortable and secure. Trump is using a lot of terminology according to which we should be afraid like “We got to be strong, we got to build our military.” and this is making people afraid and asking “Are you looking to go to war? Why do we always have to live with this fear? We are doing well.” The economy is now growing, our sales are back on track, Wall Street is going well. So the fear of the immigrants and someone else coming in this country has been heightened because of the language and these bans on Muslims. He’s bringing a lot of fear in the country especially from people who fit this description, like Muslims or Mexicans, and what I am a little concerned about is “How do we balance that act?” To me we have to remain secure but not scare the heck out of everybody else.